I have a very unique pair of headphones in my hands today called the FIIL DIVA – a smart, ANC, wireless headphone. In this review, I will be going over everything from aesthetics, to build quality and of course the actual performance and value proposition of the pair. The sample was provided to us by e-commerce website: Gearbest for review purposes. 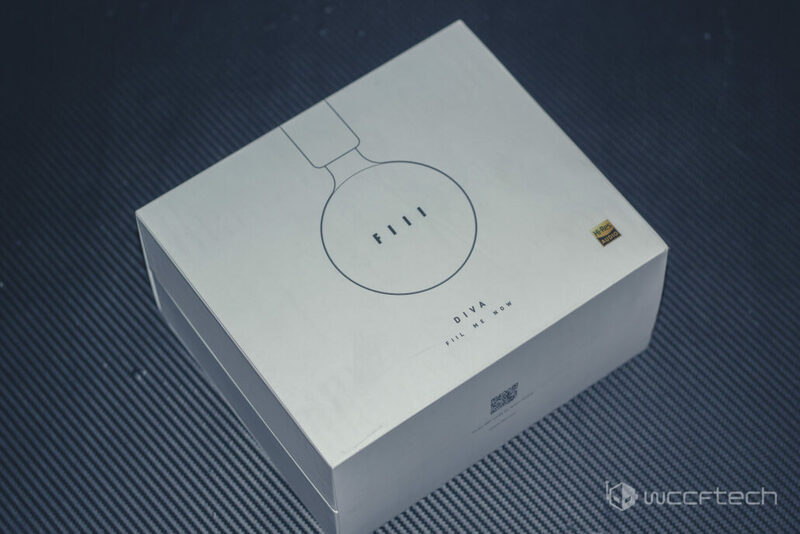 The FIIL DIVA is a very special pair of headphones. 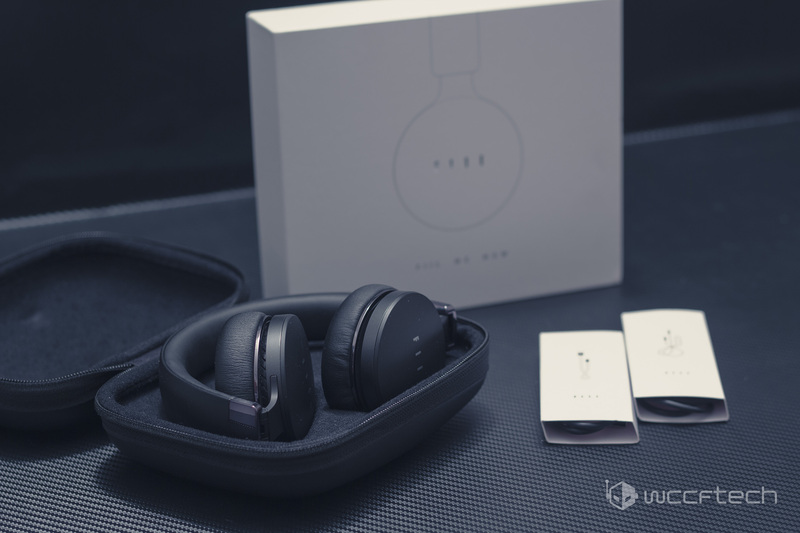 It started its life as a kickstarter project (yes, this is one of the elusive kickstarter success stories) for a new breed of headphone: A hybrid, ANC, “smart” headphone. 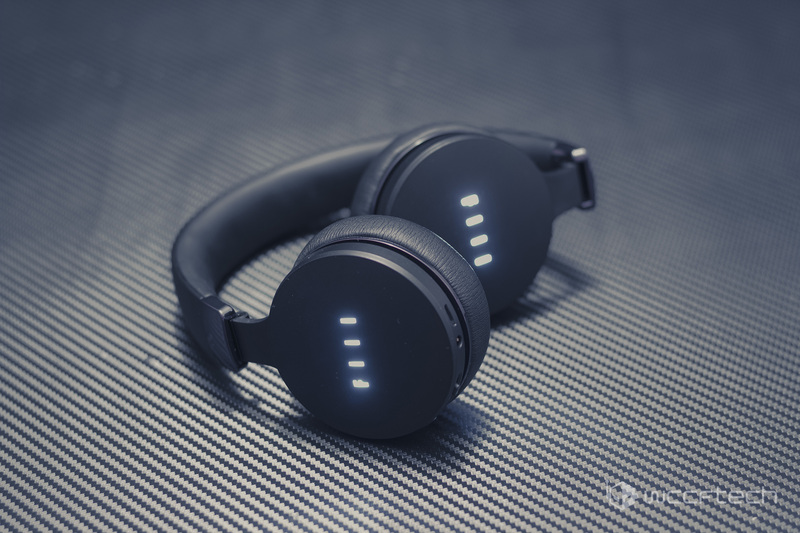 The proposition was, why not create a pair of headphones, that have audiophile sound quality, support both wired and wireless modes, are smart enough to know when you put them on or off, and of course can do Active Noise Cancellation. This is a very tall order, and the company behind these gorgeous pair of cans not only managed to meet every single one with the FIIL DIVA PRO (which retails for $299) but they managed to offer almost all of the features in its younger sibling, the FIIL DIVA for just $175 as well. You might be able to find high end headphones with 1 or 2 of the features listed above, but you will not be able to find a single competitor that can offer everything given above for the sub $200 price range. In fact, considering all of the above, even the $299 Diva PRO have an unusually high value proposition. For readers who are not aware of the usual price range of a good quality ANC headphone, its usually north of the $300 mark (The Bose QuietComfort or the Sennheiser Momentum being the prime examples). So on paper, the FIIL DIVA has an absolutely insane value proposition, and today we will find out if it can live up to these paper specs. 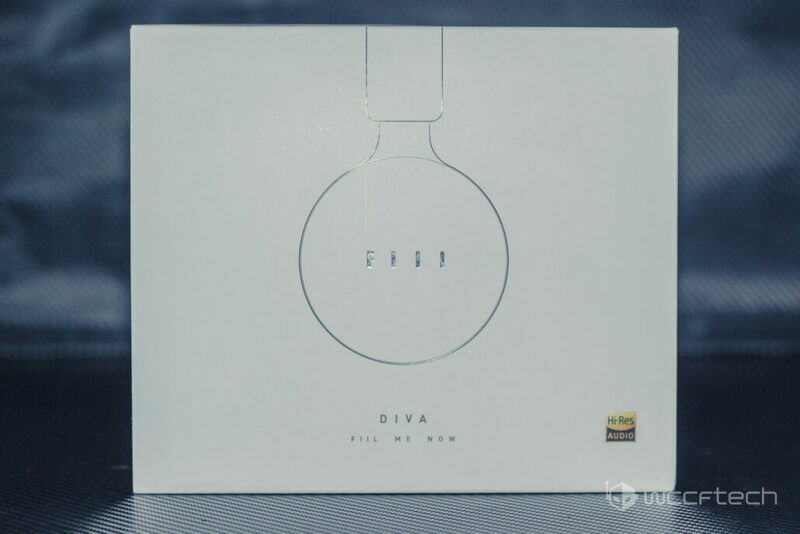 The FIIL DIVA comes packaged in a very sturdy cardboard box inside which is the real packaging. Due to the layers and layers of packaging used, there is no chance that your product can be hurt during shipping (regardless of how badly it is handled by the courier). Inside the cardboard box you will find either a black or a white package depending on the color you ordered (we got a white package). The design of the box is the same minimalistic philosophy that Apple became famous for: a simple, beautifully elegant design. 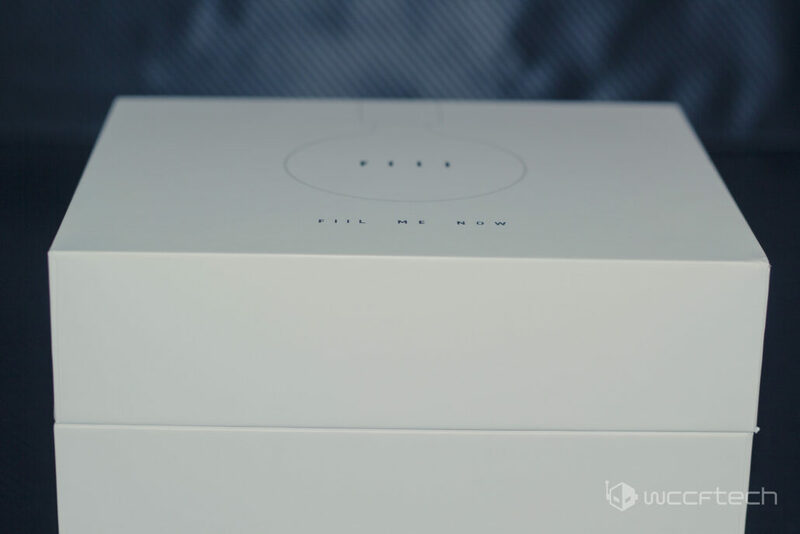 The entire unboxing experience has a very premium feel to it and everything is made of high quality and sturdy materials. 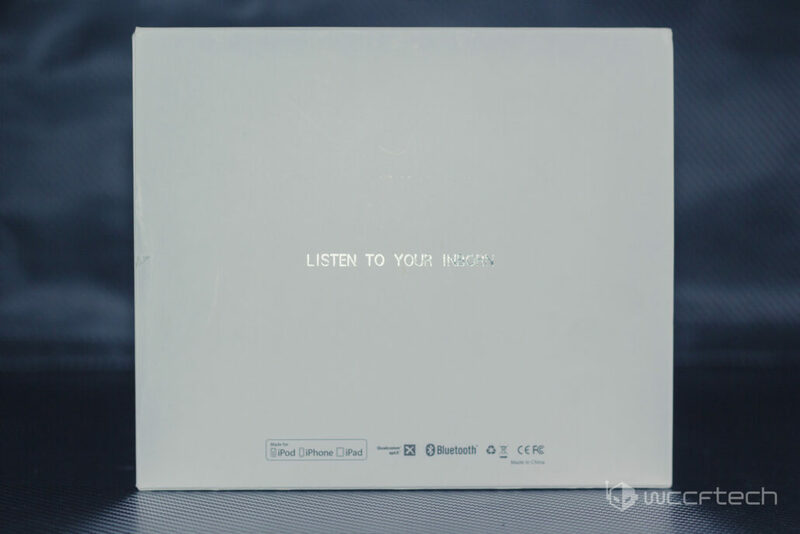 Inside the white box, you will find the waterproof FIIL DIVA pouch, the instruction manual as well as the data cable and the 3.5mm to 3.5mm cable which is used to put the headphones into wired mode. Right off the bat you can see that everything has a very durable build quality. The joints and hinges are made of metal and will not break easily. The wires provided also appear that they will be able to sustain a very high number of bends and turns so life span shouldn’t be an issue. The only thing I can think of that might get loose is the 3.5mm connection port which simply requires you to plugin the 3.5mm wire – which can get loose after an extended use for people who want to use the headphones in wired mode. A locking mechanism (like the one Sennheiser uses) would help alleviate the wear and tear on the 3.5mm port). The pouch is also of a high quality construction, although my unit arrived with a slightly troublesome zipper (which could easily be a problem with my review unit only). All in all, my first impressions of this product were very good. This is easily the best looking and feeling pair of Bluetooth headphones I have used in this price range. Before we go any further, I must also mention that to fully utilize the FIIL DIVA, you need to install the FIIL+ app on your smartphone. This will allow you to access all of the bells and whistles as well as tweak the settings to your hearts content. The app was easy enough to find and install but took a little while to pair with the DIVA. You also need to bind the app to the DIVA, otherwise you will have to login as guest every time which can be a hassle. 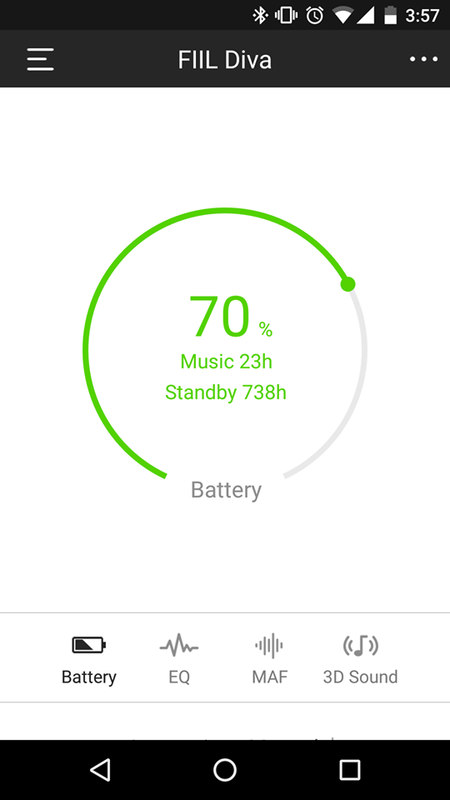 Remaining Battery (which includes a detailed breakdown of expected playback time). 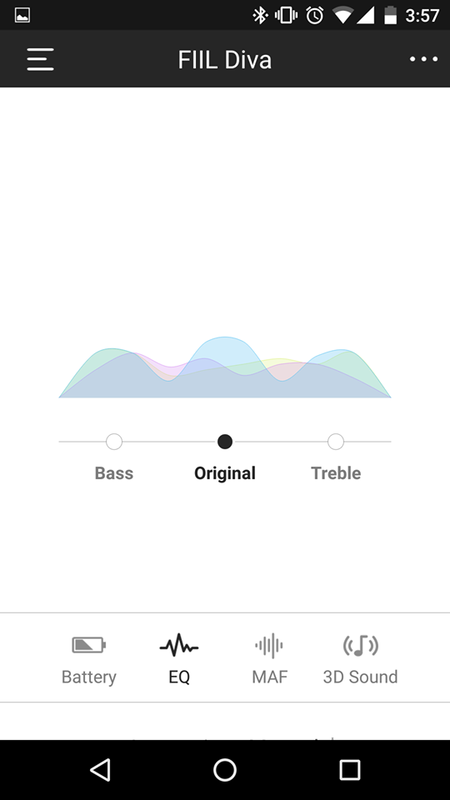 Equalizer (which contains three options, bass, original and treble). The app itself is usually very responsive and easy enough to use. However, I have noticed that in some cases, the language of the app shifts to Chinese. This appears to be a mistake or a left-over from the translation process – which I assume it went through. Other than that, it really does extend the functionality of the FIIL DIVA by a lot and will also allow you to tweak any settings (including the lightning of the logo, the intelligent sensing, touch controls etc). So we are finally at the most important part of this review (or well, any review): matching the paper specs to real life performance. 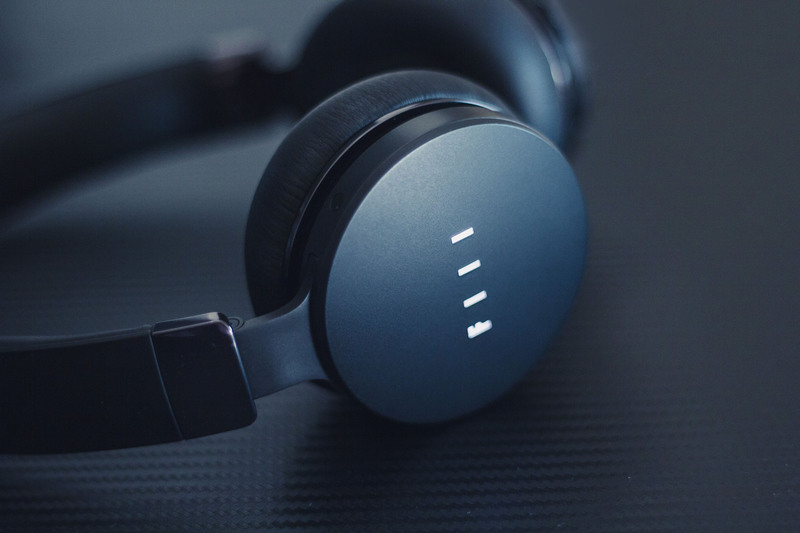 I will begin with some general comments on my use of the FIIL DIVA (which is now over a week) and then move on to specifics like the Active Noise Cancellation bit. Lets start with the one thing no audiophile will compromise on: the sound quality. Keeping in mind that this is a bluetooth headphone, I can easily say this is one of the best sound signatures I have heard in this class of headphone. Not only is the bass fully powered but the midrange clarity is superb as well. The sound stage over all is pretty decent everything considered although one can take issue with some of the depth that over-ear cans usually add which this does not have. Wired mode makes the audio more controlled and of course, the bass more pronounced but that in wired mode (and compared to other wired cans), this isn’t really a top performer by any means. I also tried out the 3D Audio, but unlike the other features of this headphone, it is pretty much a gimmick at this point and sounds very unnatural without any significant impact to depth. The company boasts a battery life of 30 hours of music listening, which is of course something only achievable under ideal conditions. I used the FIIL DIVA extensively on my daily commutes as well as during the day (for a total of about 3-4 hours) and i listen at a fairly high volume as well as using the noise cancellation features. The DIVA lasted for me for about 4-5 days, give or take, which considering the intense use I put it through is pretty impressive. I have no doubt that if used conservatively, the DIVA would be able to achieve the rated 30 hours of playback. Let’s talk about the Active Noise Cancellation features now. The FIIL DIVA supports 4 different modes of ANC, all of which are included under the proprietary MAF tab on the FIIL+ App (and can also be accessed by using the dip switch on the right ear pad). The four modes are: Noise Cancelling, Monitor, Open and Windy. Open mode is the exact opposite of ANC and will actually pick up sounds from the environment and plug them into whatever you are listening at the moment. This is something that great if you want to listen to music while having a conversation perhaps. The real performer in the ANC division is the Noise Cancelling mode and its definitely the real deal. ANC works by using two mics placed on both caps to record the sounds around you and removing them from the audiostream you are getting (the speakers hit you with an inverted sound wave of the whatever they record from outside) which works wonders in removing ambient noise. By my estimates the FIIL DIVA manages to remove about 80-90% of low pitched to mid pitched sounds as well as 50-60% of high pitched sounds. This is pretty impressive ANC performance at this price point. The Bose QuietComfort might be able to do slightly better but 1) it is an over the ear design which are obviously better and 2) they cost almost twice as much. 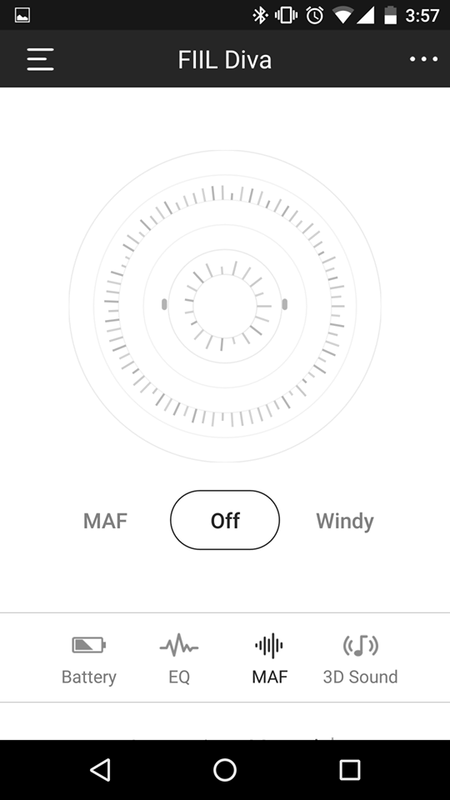 You also have two other modes called Windy and Monitor. One problem with ANC is that if you are in windy conditions, the lack of a pop shield on the mics will result in loud distortion seeping in to your playback. The windy mode is able to take care of that problem pretty well. Monitor mode is one that might be more or less a gimmick of sorts. It was designed as a mode that can filter out noise but retain vocals (so you can still hear what your friend is saying over some loud music). In my experience it works only sparingly and isn’t very reliable. Better to stick to the open mode if you really need auditory awareness. Of course, the FIIL DIVA also has additional bells and whistles which no other headphone has so far. I am talking about about its Intelligent Sensing features and Touch Controls. It is hard to tell apart gimmicks from actual usable features when dealing with products like these and I am pleased to tell you that after using them for a week, I was able to get comfortable with using both to increase my productivity (or lazyness, whichever you prefer). The FIIL DIVA is able to sense when you put it on your head and when you take it off. There is a slight delay when you take it off, before it turns off but it turns on almost instantly. The sensors are located on the inside of the earcups so when you take it off, just make sure that there aren’t any obstructions in front of them that they might perceive as being your head. This feature is a conversation started and definitely fits in with the over all hands-free lifestyle philosophy that the company has going on. Some early users had complained of this function misfiring but in my experience the occasional hiccup is limited to maybe 1 in a hundred attempts. 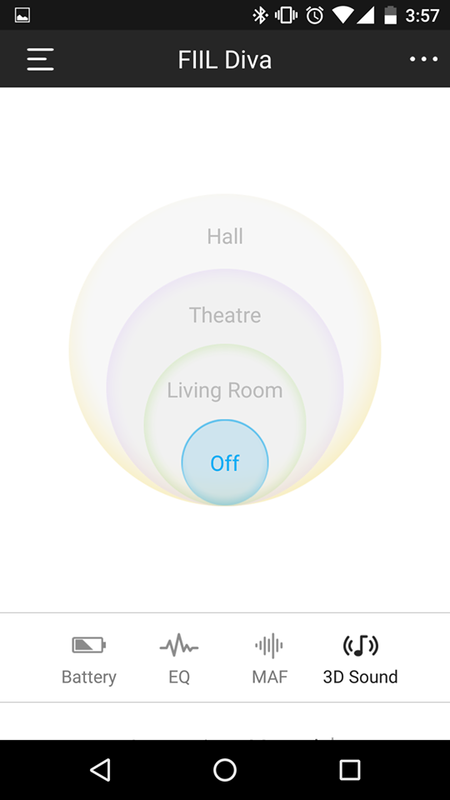 So all in all a pretty reliable feature if you are aware of where the sensors are located. The touch control is something however, which might be a pure gimmick for some but did have its uses for me. If you have your smartphone in your pocket or are driving, you will be able to control the volume and even change tracks just by swiping the ear cups. For those who are interested swiping up or down adjusts the volume and swiping right or left changes the track. Keep in mind however, that FIIL requires you to swipe the finger from one edge of the cup to the other, if you swipe your swipes in the middle, it will not be registered. You can also use the bluetooth button located on the cup to accept incoming calls for a truly mobile-free auditory experience. All in all, the FIIL DIVA are basically 2-3 headphones rolled into one considering the plethora of features it offers. 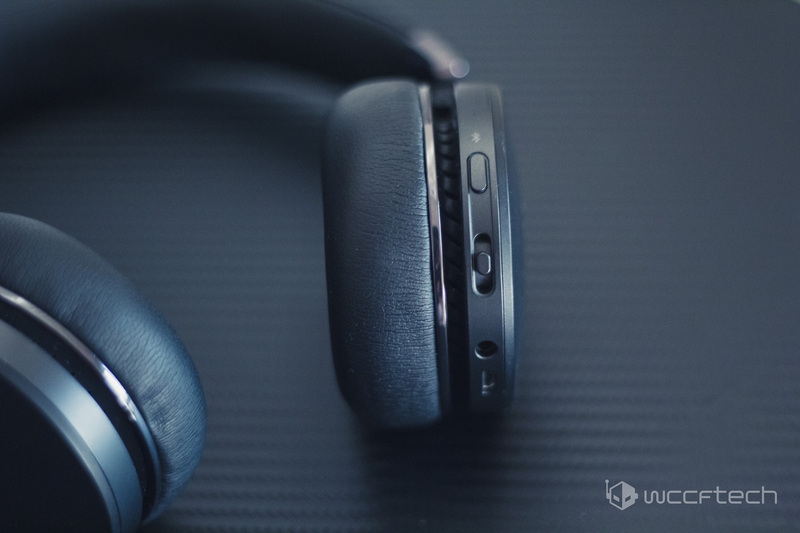 Even though it has more bells and whistles then pretty much any pair of bluetooth cans out there, it still doesn’t compromise on the fundamentals, which is what makes this a great buy for the prospective user. I found the clamping force a bit too harsh but this is something that is usually the case with Bluetooth headsets and can be alleviated by adjusting the headset. 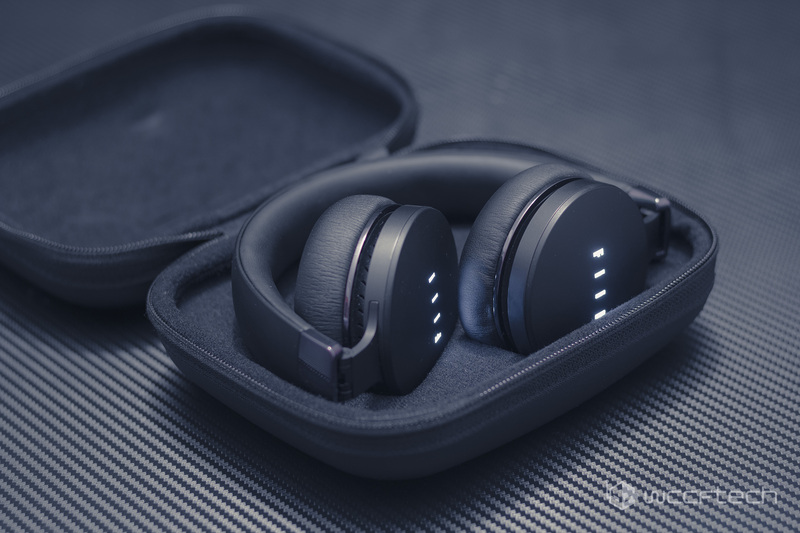 If you are someone who is interested in an all-rounder ANC wireless pair on a budget, look no further because after using these “smart” headphones for a week, I have no qualms in saying that they are excellent value at the offered price of $175 (You can avail an exclusive discount for our readers over at Gearbest if you are interested in buying them using the promo code: GBCE, as part of their anniversary promotion). If you are part of the high end audiophile spectrum and are actually looking to buy the FIIL DIVA Pro, then I should mention the only difference between the DIVA and DIVA Pro is the addition of on board memory storage, proprietary voice assistant (Hello FIIL) and licensed 3D Audio. As I mentioned earlier, the 3D audio isn’t that great and just sounds unnatural and is pretty much a gimmick for a pair which exceeds expectations in everything else. 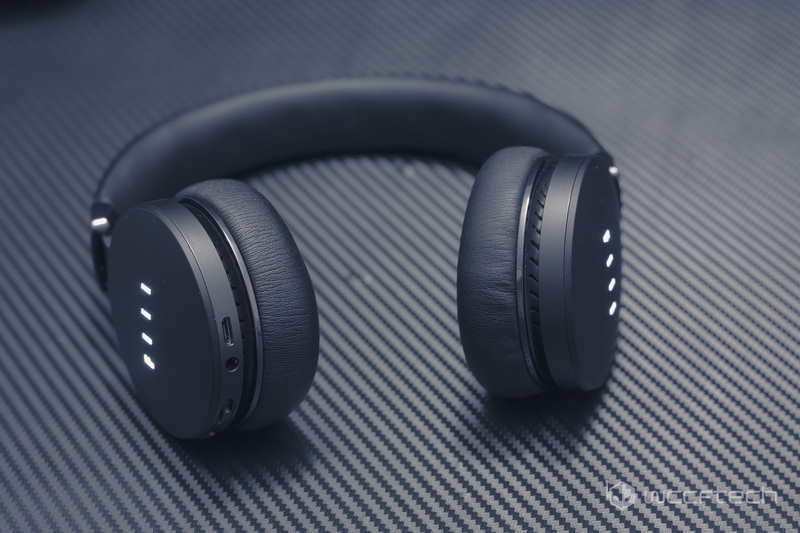 This kickstarter success story is a sleek and minimalistic bluetooth headphone with futuristic touch controls, intelligent sensing features, large sound stage and high end noise cancellation features at almost half the price of competitors.